Farrow Scarborough of Avon owned the freight boat named the Julia W. Bell, a 52.3-foot long, two-masted sharpie that sailed from Avon to Elizabeth City. 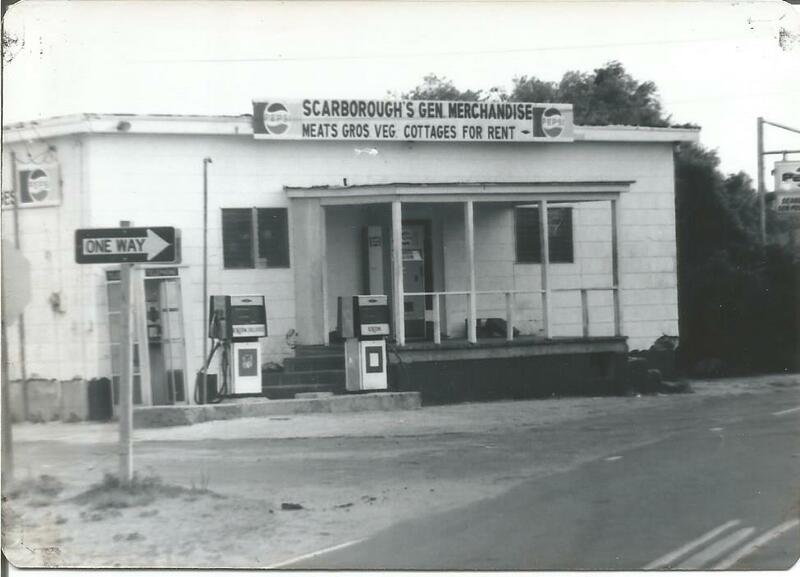 Scarborough also owned a general merchandise store and an eel grass baling operation in the section of Avon called Scarboroughtown. The boat carried groceries, dry goods, lumber and building supplies, coal, and other goods ordered by Scarborough and other shopkeepers and residents when “drummers,” or traveling salesmen, visited Hatteras Island. The Julia W. Bell was built in 1890 in Morehead City. The Annual List of Merchant Vessels of the U.S. records indicate that the boat had owners in Edenton and Elizabeth City before Farrow Scarborough purchased it. After Farrow died in 1926, his wife Melvina was listed as the owner. Roy Gray worked on the Missouri, another Avon freight boat, with his uncle Loran O’Neal when he was a boy and remembered that Walker Scarborough, one of Farrow and Melvina’s sons, was captain of the Julia W. Bell at that time. “They were on the same run. Lots of times they would run together,” he said. Walker Scarborough’s daughter, Elsie Scarborough Sawyer, recalled sailing on the Julia W. Bell with her father and her cousins when she was a teenager. “There’d be three or four teenagers on the boat. We stayed at a boarding house in Elizabeth City. We liked to go there because we could get permanents for our hair, and we could go to the dimestore and the movies,” she said. The Julia W. Bell hauled bales of eel grass from Avon to Elizabeth City where the bales were loaded on other boats or trains for shipment to furniture manufacturers for use as a stuffing for mattresses and cushions. In Avon, the eel grass that washed up along the shore in large rafts during the spring and summer was hauled from the water’s edge and spread out to dry with large pitchforks. Sometimes the eel grass was called sea oar; it is a blooming, underwater grass, not a sea weed. “I remember my grandfather had probably 8 to 10 people working at the time and there was several of we boys who would work with him. I think we got about 50 cents per day, which was a lot of money at that time,” recalled Edward Scarborough, Farrow Scarborough’s grandson. After the grass dried, it was baled at Farrow Scarborough’s warehouse. “He would have all the hardware . . . made up at an iron foundry in Elizabeth City and would build the rest from there . . . . It was all hand operated by using what we called a press, which was made of wood and pressed down by what we called a strong back operated by hooks and levers. It was packed in 100 pound bales and held together with wire . . . and looked like and was about the size of a bale of hay,” Edward Scarborough said. Avon was the only Outer Banks village where eel grass was profitably harvested, according to historian David Stick. Charles T. Williams started the Avon industry in 1912. The fate of the Julia W. Bell is not recorded. “She was docked on the north side of the harbor when I went into the service in 1953, but I don’t know what happened to her after that,” said Avon freight boat historian L.P. O’Neal. Herscal Williams recalls his first trip to Elizabeth City from Avon when he was a boy on the Julia W. Bell. From Elizabeth City, he and his father took The Trenton to Manteo and then caught the mailboat to Avon to get home. Mr. Williams was born in Avon in 1918. Crockett, Greg and Talmadge Willis, Paula Cox and Lisa Whitley. “Transporting Goods To The Island: Mr. Roy Gray tells about when bringing goods to the island was not so easy.” Sea Chest vol 1 new series number 2 (1981). Hooper, Kerry. “Seaweed: Cash Crop From The Sound.” Sea Chest vol 2 new series number 2 (1983).